Mr Tshimangadzo Samuel Daswa was born at Mbahe village on 16 June 1946. He distinguished himself as a success in everything he did: as a farmer, teacher, youth organiser, Catholic, etc. His house, car, and orchards were said to be a source of pride. He was appointed the principal of Nweli Primary School in 1977. He started a football team at the school, and helped to build five classrooms. He also raised funds for school fees, uniforms and initiated a school feeding scheme for underprivileged learners. He also assisted in building a church in his village. In the late 1980s and early 1990s, people who had been accused of witchcraft were hunted down and killed in Venda. Some were displaced from their villages. Villagers in different villages were forced to contribute money to pay dzinanga (Jujumen and women) to sniff out witches. In January 1990, lightning struck some homesteads at Mbahe village and, as usual, it was believed that somebody or some people were responsible for the lightning. The community met on 25 January 1990 and agreed to contribute money towards the ‘sniffing out’ of the alleged witch or witches that were behind the lightning. Mr Daswa refused to contribute, saying that it was against his Catholic faith to believe in witchcraft, that so-called witches could manufacture lightning, and that those accused of witchcraft should be killed or driven out of their villages. On 2 February 1990, a mob baying for his blood besieged his home. Tree branches were used to block the road near his home. As he stepped out to remove the branches, a group of men wielding an assortment of weapons, including clubs, stones, pangas, etc, attacked him. He fled to a nearby tavern. The mob pursued him and assaulted him. He pleaded for his life and prayed. His head was smashed with a club, and boiling water was poured all over his body. He died on the scene. He was buried on 10 February 1990. Fellow Catholics, and other people in the area saw him as a hero. They felt that he died for his faith because he had taken a principled stand against the sniffing out of alleged witches and had refused to believe that a natural phenomenon such as lightning could be manufactured and be directed to strike a homestead or an individual. Catholics, friends, colleagues and relatives worked under Bishop Joao Rodrigues and Bishop Emeritus Hugh Slattery of Tzaneen to promote the beatification cause for Mr Daswa. The Diocese of Tzaneen opened an inquiry into Daswa’s death in 2005 and completed it on July 2 2009. The investigation, which was made public in 2010, resulted in more than 850 pages of testimony from reliable witness to the life and death of Mr Daswa. A copy of the investigation was sent to Archbishop Angelo Amato, prefect of the Congregation for the Causes of Saints. The documents were signed by Bishop Hugh Slattery, Sister Sally Duigan, diocesan chancellor Father Andre Bohas, and Promoter of Justice Eddie O’Neill. Bishop Slattery stated that Mr Daswa’s story needed to be told. “Like Mandela or Mother Teresa, we need people we can admire. People need people to look up to”, said Bishop Slattery. 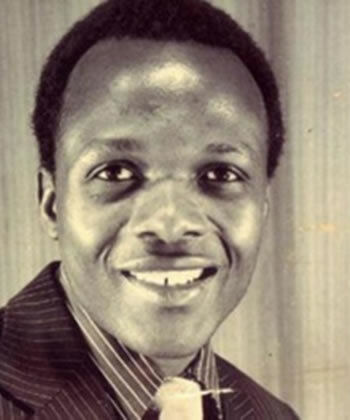 In January 2015, Pope Francis approved the beatification of Mr Tshimangadzo Samuel Daswa. The approval paved the way for Mr Daswa to be declared a blessed martyr. The ceremony to beatify Mr Daswa is expected to be held before the end of 2015.